Roasted carrots make an easy savory side dish. Carrots are undoubtedly one of the most versatile vegetables. Great eaten raw in salads or with dips like hummus but wonderful cooked in a variety of ways. Roasting brings out their natural sweetness and pairing them with the savory taste of za'atar is the perfect compliment. This easy to make dish can be quickly prepped. 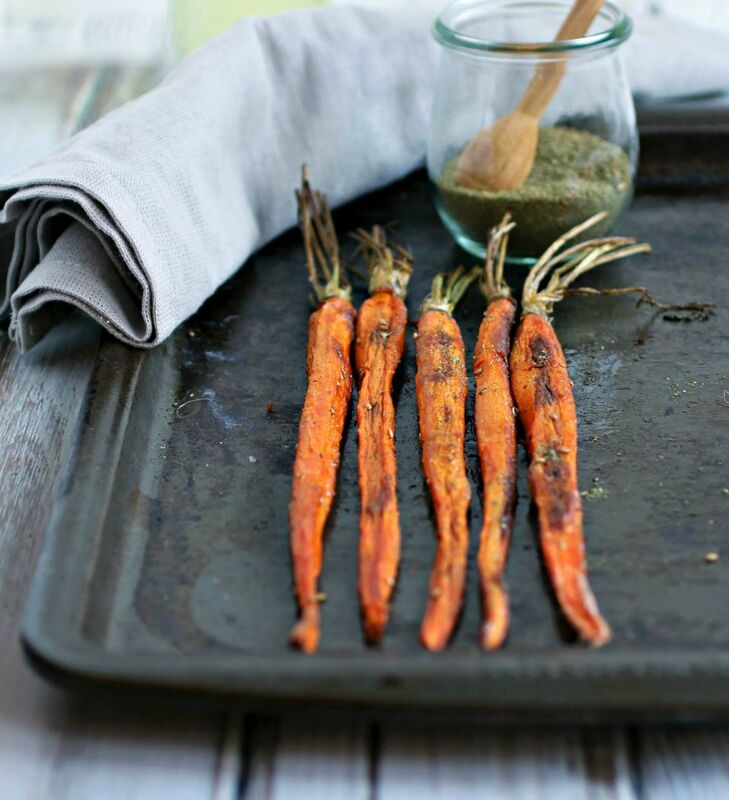 To make this simple and flavorful side dish, peel the carrots with a vegetable peeler, place them on a baking sheet, drizzle with about a tablespoon of olive oil and sprinkle on about a half teaspoon of za'atar. Roast in a pre-heated 400 degree oven for about 30 minutes and then add another 1/4 teaspoon or so of za'atar when they're done. The sweet and savory aroma will be irresistible. This savory spice brings out the flavor of roasted foods. Za'atar may well be the best thing you're not yet sprinkling all over everything. A classic Middle Eastern spice mix that varies slightly by country and region but is usually a combination of thyme, oregano, marjoram, sumac, toasted sesame seeds and salt. You can make your own or buy it at large grocers or specialty spice outlets. Either way though, the chances are that once you try it you will be sprinkling it all over everything. The taste is savory and slightly nutty but not hot or spicy. It adds a savoriness to foods and brings out their flavor. Za'atar is also great when used to enhance foods from other cuisines such as or .